Crown Oil has over 65 years of experience delivering fuels and lubricants to the private and public sectors in North & South Wales. We are red diesel suppliers throughout the North & South. 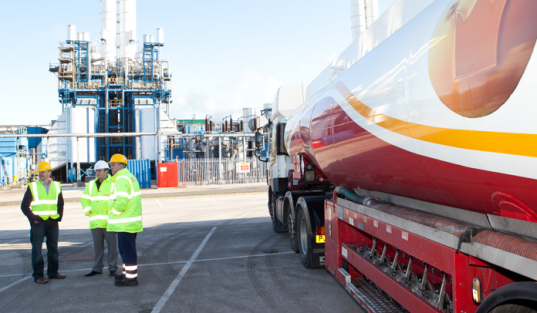 Our reliability and cheap prices have made us one of the UK’s leading red diesel suppliers. We understand how important on-time deliveries are to our customers. That’s why we always do our best to make sure your gas oil is delivered at a convenient date and time for you. Our service is our guarantee and we won’t be beaten on service! Call us Now on 0845 313 0845 to order your red diesel fuel today! Wales is an absolutely fantastic country with thousands of little picturesque hamlets set in awesome scenery. Central Wales boasts the spectacular Brecon Beacons range of mountains which provides numerous walking routes, places for extreme sports enthusiasts for extreme mountain biking and hang gliding, and a pulsating nightlife in the major towns and cities. Wales is a mountainous area and as with all places high in the sky, the surrounding areas can get very cold in the winter and can still be cold in the summer months. Ever spiralling home heating costs can severely dent the average home’s income. Gas and electric prices constantly rise and with tax increases, the cost of heating a home can be astronomical. An alternative, and cheaper method for heating an entire residential or commercial premise is by using red diesel as a central heating fuel. We supply cheap red diesel in North Wales which does not have the massive amount of tax added onto it like normal diesel has. Cheap red diesel in South Wales offers a unique opportunity to save a huge amount of money on your heating costs. Red diesel equipment is easily installed and used and will soon recover any additional expenses by reducing the heating costs. As trusted red diesel suppliers, we can deliver your supplies on virtually any day to ensure a never-ending heat or power source to permit permanent heating solutions 24 hours a day at very reasonable prices. The reliable and friendly drivers will deliver on specified days and at a time to suit you. Red diesel is the perfect solution to begin reducing average living expenses and allowing the money saved to be put to good use. Red diesel is used in off-road vehicles such as tractors, cranes and machinery. There are hundreds of farms in both the North and South of Wales. Farmers, horticultural workers and those within agriculture can use red diesel and save a lot of money compared with normal, white diesel.